Tomorrow is #GivingTuesday – a day dedicated to the spirit of generosity that comes with the holidays. To celebrate, we have gathered 12 of our vetted nonprofits who are looking for support to achieve their organization’s mission and goals. 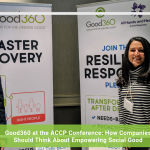 Each nonprofit below is a 501(c)(3) organization that is registered with the IRS, has submitted financial documentation that demonstrates how their programs are funded, and has had their mission and how they achieve it reviewed by the Good360 team. 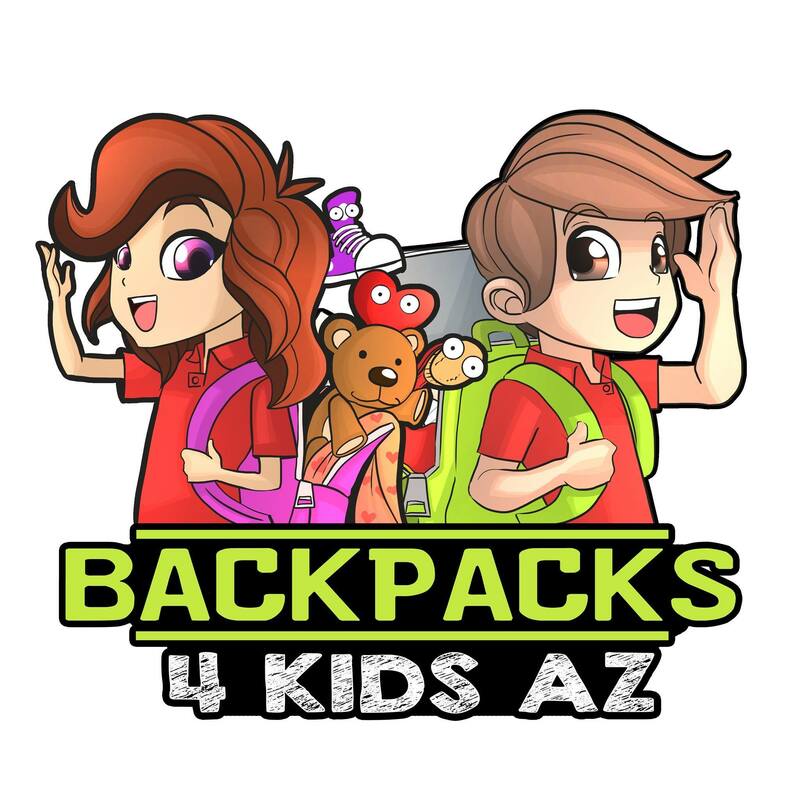 Backpacks 4 Kids AZ, Inc is dedicated to providing disadvantaged children living in Arizona with backpacks full of supplies. Christmas can be hard for kids when they are living in a group home or in shelters. This year, to make Christmas special for these children, we need your help. Donate to us this #Giving Tuesday so we can help bring a little joy to these children. At Charis Youth Ranch, we believe broken horses heal broken children. This #GivingTuesday, we challenged four other horse and child serving nonprofits in our state to a fundraising duel. We made a funny challenge video which we posted publicly on their facebook and ours. Whichever of us raises the least amount by midnight on Giving Tuesday has to submit to a punishment: wear a horse costume and take pictures all over their town to be posted on social media. Help us by donating today! 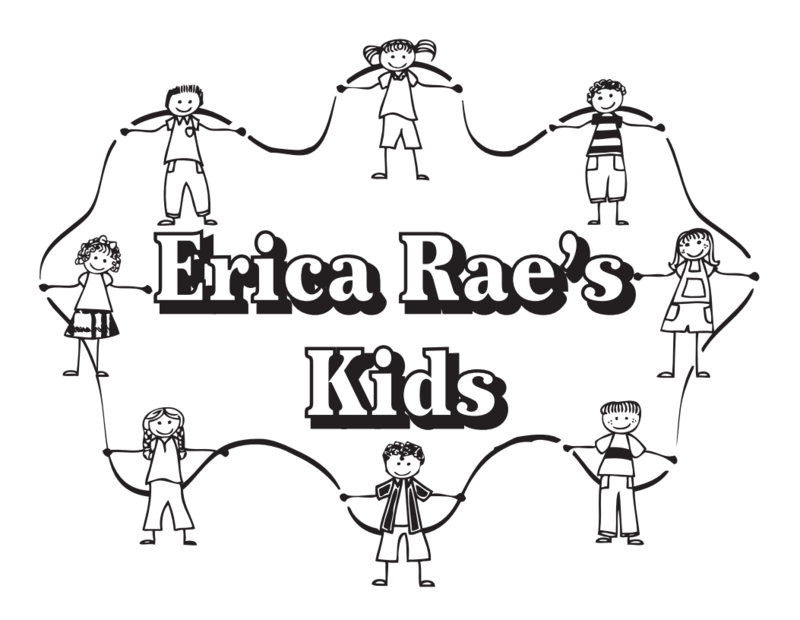 Erica Rae’s Kids is building the future by helping our children. We are an organization that helps children living in disadvantaged circumstances. We aim to help remove the barriers faced by children from low-income households that often persist throughout their school years. Help us make an impact on a child’s life this #Giving Tuesday. We provide inpatient and home care through a team coordinated by qualified physicians and registered nurses. Nursing care is provided 24 hours a day, 7 days a week. Along with spiritual leaders and trained volunteers, this team provides medical, psychological, social, and spiritual care as its core services. It is our goal to enable the residents and their families to focus on the joys of their life experiences and the continuity of family life to come. Help us this #GivingTuesday by donating to our cause! Tails of Courage is a Christian-based national nonprofit organization committed to helping animals in our communities. 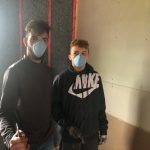 Founded in 2009, by a survivor of the World Trade Center attacks, in an effort to honor the heroes lost in the tragedy, the mission of the organization is to help as much as possible with various programs within the communities we serve. We welcome everyone, from all walks of life, all beliefs, all backgrounds, and want to have a positive impact on the world around us. Tails of Courage has spent the last few months focusing on helping the hurricane victims of Florida, Texas and Puerto Rico. The shelter has taken in over 70 animals in need from these areas. We need your help to expand the shelter, obtain supplies, and care for these animals while they wait for their forever homes. The mission of Right The Wrong Together (RTWT) is to bridge the gap between law enforcement and the community by creating a better understanding of working together and maintaining a positive relationship. Our #GivingTuesday campaign is geared towards helping us create more programs and events that will allow us to continue to stimulate conversation and positive action with our law enforcement and our community. Please visit our website and help us achieve this mission. As a nonprofit, volunteer-based agency, our mission is to empower CASA volunteers to advocate on behalf of abused and neglected children in juvenile court. Our vision is to provide a court-appointed volunteer advocate for every child who needs one. 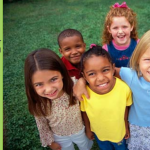 The core purpose of CASA of the Tennessee Heartland is to provide a voice for abused and neglected children in our community. We need your help this #GivingTuesday to help us achieve this mission. 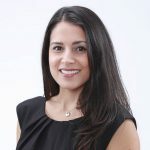 Cabrini Immigrant Services of New York City is committed to empowering immigrants, their families and their communities through education, access to essential services, civic participation and community building. We strive to work together with the immigrant community to create a more inclusive society by fostering justice, dignity and respect. For #GivingTuesday, Cabrini Immigrant Services of NYC is raising money to allow us to continue and expand our programs to welcome and support immigrant families. Funds will be used to provide vital legal and social services to low-income immigrants, with a focus on strengthening and reuniting families. The purpose of this organization is to provide services and minister to the needs of patients, to promote the health and welfare of the community within the objectives of the institution, and to provide a bond of understanding and service for persons of all races and creeds. #GivingTuesday is a way to spotlight our social service programs that benefit the patients at Regional One Health and we use this special observance day to spotlight needed donations. While we begin marketing our needs prior to #GivingTuesday, the day marks the beginning collection date for donations during our “Season of Giving”. 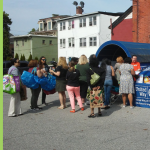 This campaign helps to ensure that we have needed items, particularly for our clothes closet, for the fall and winter season. We provide Edgecombe County with a sustainable organization focused on transforming the lives of young ladies aged 8 to 18 into a sisterhood unified through community service, educational excellence and personal empowerment. We are seeking to raise funds to provide after-school tutoring (GRASP) and educational enrichment (weSTEMulate). Funds will be used to purchase transportation, computers, computer desks and tutorial expenses. Thank you for supporting us this #GivingTuesday! We aim to provide hope and help for abused and neglected children and the caseworkers who protect them within Harris County, Texas. BEAR’s programs serve children in the care of CPS throughout Harris County by providing emergency supplies: diapers, clothes, shoes, car seats and cribs, formula, school uniforms/supplies, and more. Each year approximately 16,000 children are involved with Child Protective Services (CPS) in Harris County. When these kids are placed in temporary care, the small stipend the County is able to provide may not cover all of the child’s expenses. 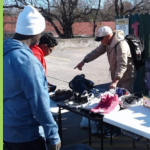 Items such as clothes, hygiene items, school supplies, and “extras” like holiday gifts are purchased by BEAR, or donated by corporations and individuals, and distributed to the children through the CPS caseworkers that serve them. Please support us today. Building A Bond Between Species was created to assist equine and canine owners by providing access to basic education, information, support, emergency aid, and activities that promote partnership and bonding. It is the intent of B.A.B.B.S. to help reduce the number of horses, donkeys, mules, and dogs that are re-homed or relinquished each year because of behavioral issues, financial hardships, or lack of owner knowledge. B.A.B.B.S. believes that by providing these resources, the connection between owner and animal will be strengthened, resulting in fewer equines and canines being sent to shelters, rescues, auctions, or being abandoned. We provide owners with a place to trim for help when they need it the most, and educate future generations. Please help us this #GivingTuesday! 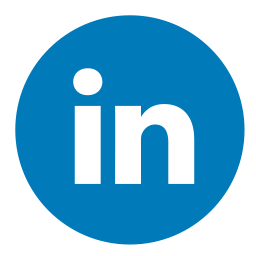 Good360 has a goal to raise $4,000 this #GivingTuesday! This will move a truckload of $100,000 in goods to victims of Hurricane Harvey. Donate to our cause here.